For four young women abroad in Paris, a game of Truth or Dare turns life-and-death. -I had a secret: I wanted to leave the earth in a spectacular fashion. Specifically, by leaping from the Eiffel Tower.- So begins this provocative coming-of-age novel about a teenage girl bent on self-destruction and revenge, set in the City of Light. It's the summer of 1999, the end of a millennium. In the mind of Nessa Baxter, a girl from rural Illinois, Paris is the remedy for all of her woes. The death of her beloved brother and the betrayal by her classmate Kat has left Nessa bereft and doubtful about her future. She plans to exact revenge on Kat during their renegade French Club trip. Along with classmates Whitney and Kiran, the four girls embark on a series of misadventures in Paris. As part of her plan, Nessa starts a game of Truth or Dare that spirals out of control. 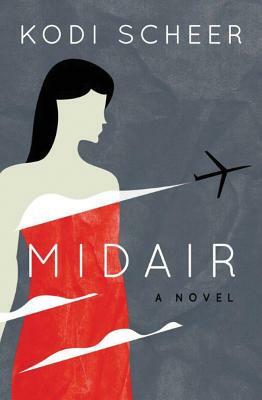 A suspenseful psychological drama, Midair is the story of a young girl's descent into darkness and the secrets we keep, even from ourselves.